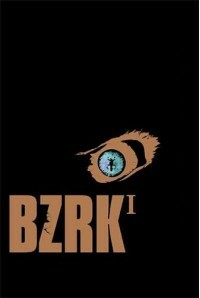 Action packed and adrenaline fuelled, BZRK is the first Michael Grant novel I've read, and all I can say is that I wish I hadn't waited so long!My favourite aspect of this novel is definitely its grounding in nano-science, and the ways in which Grant makes the nano-world come alive. The descriptions of normal, often beautiful things, turns sinister when seen in the nano-scale, and it never failed to make me cringe and freak out. Eyes and skin are way scarier than I'd ever thought they'd be! I enjoyed the way the science is explained in the book through natural dialogue, without breaking up the action or making us wade through info-dumps. Grant doesn't fall into the pit of over explaining the science, as many science fiction writers are prone to do.It's also refreshing to read a young adult novel that incorporates a complex plot and intelligent world-building. Too often I read books where authors have consciously written for a younger audience by over simplifying plot elements or glossing over the world-building.I'd initially thought I wouldn't much like any of the characters in this book - they all seemed too different from me, I couldn't relate to them on any level. As I got to know them better, however, I found out that I have something in common with all of them, Sadie, Noah, even Vincent. I love Sadie, especially the way she cleverly and carefully navigates that thin line between amazing, tough heroine and over-competent, unbelievable teenager. She's drawn very well, and provides a great counterpoint to Noah, who has a tendency to jump into situations without looking to see where he'll land.The moral ambiguity of this novel is something I really liked, especially since these days novels are so clear-cut about which side we should be on. Sadie and Noah question themselves frequently, and are quick to point out that they are asked to do exactly the same things as their enemies, so how do they know they're any better? I could also see the point that the other side is trying to make, and although I feel like free will should always win out over hive-mind mentality and cohesion, it does raise a compelling point about the human condition. I would, however, have liked more examination of why Bug Man and his associates believe so vehemently in their cause. And I want to know who Lear is, so so bad!I loved BZRK! I don't think it's a novel for everyone - people going in for a light, science fiction read will be sorely disappointed, but fans of science fiction who want to experience a near-future world will love this. 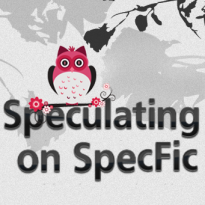 I have the sequel, BZRK Reloaded, ready to go, and I am now desperate to find some time to read Michael Grant's other series, starting with Gone.You can read more of my reviews at Speculating on SpecFic.